Opening the festival on Friday May 25th is the highly anticipated science-fiction epic,OCCUPATION. Shot on the Gold Coast and helmed by RED BILLABONG writer/director Luke Sparke, this high-concept blockbuster stars a who’s who of Australian film and television including Dan Ewing (HOME & AWAY), Temuera Morrison (ONCE WERE WARRIORS), Stephany Jacobsen (BATTLESTAR GALACTICA), Rhiannon Fish (THE 100), Jacqueline McKenzie (ROMPER STOMPER) and Bruce Spence (MAD MAX 2). 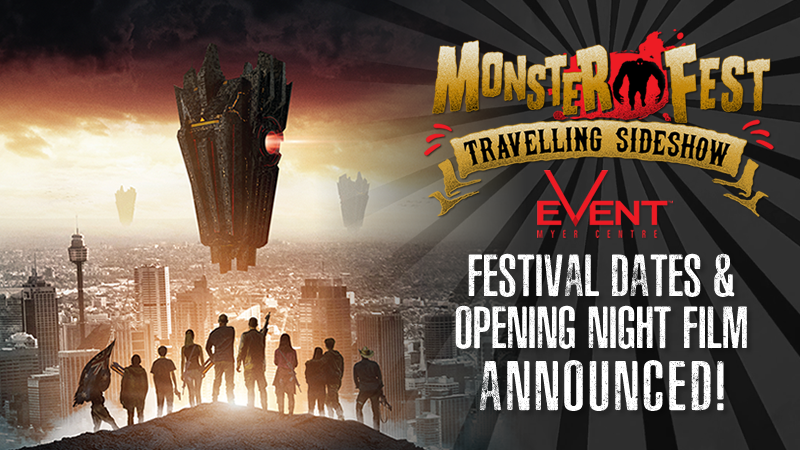 Our MONSTER FEST TRAVELLING SIDESHOW screening will be followed by Q&A with Cast & Crew and will give audiences the opportunity to be among the first in the world to see OCCUPATION ahead of its Australian theatrical release by Pinnacle Films.